How to Monitor CPU Temperature on Linux Mint Cinnamon real time and directly from the Linux Panel. Linux Mint Cinnamon version using Panel by default --the Panel can contain Menu, short cut, system date, indicator, notifications, and many more. 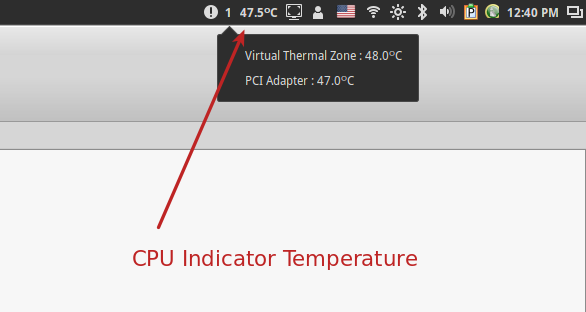 CPU Indicator Temperature is an light weight applet which can show to us the current processor's heat which is called with virtual thermal zone also PCI adapter temperature from the Panel. So we can monitor the CPU heat real time every seconds. This CPU indicator monitoring show the number in Celcius degree. It is very easy to use and very useful, thanks to the developer. 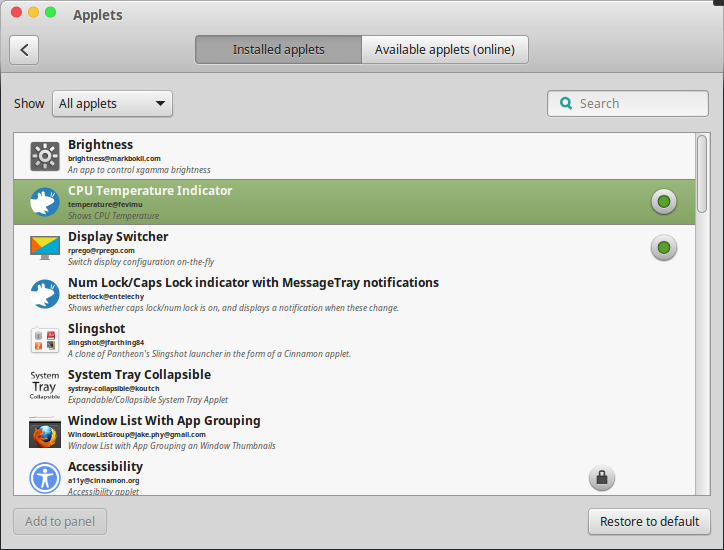 Click on "Available applets (online)" and type CPU Temperature Indicator, then give a check mark on it. See the bottom of window, click the "Install or update selected items" button. Wait until download and installation finished. Don't close your Applets window. Now you need to activate the indicator so it is appeared on the Panel. How to do that? Just go to "Installed applets" tab, then select the "CPU Indicator Temperature" and then again click the "Add to Panel" button. This is the light weigt indicator applet and it is showed on the Panel so anytime we can see temperature of CPU. Very soft indicator for Linux Mint Cinnamon. Have a try!